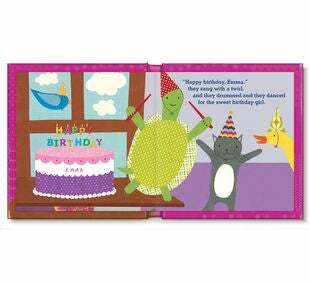 If you specify which birthday the child is celebrating (1st, 2nd, 3rd, etc. ), the number will be included on the cover and on 5 pages in the book. If you specify "2nd" or "3rd", etc., that number will be printed instead. The cake will include the correct number of candles! 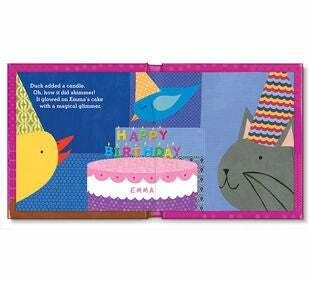 If you answer "any" to the question about which birthday the child is celebrating, the book will look like the one displayed in the images. 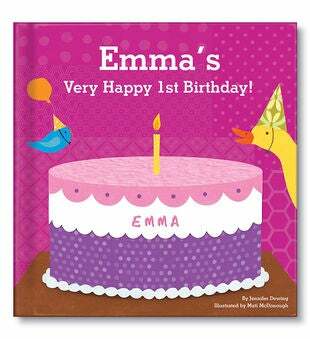 We do not calculate which birthday the child is celebrating because many times the book is given as a belated gift after the birthday. Dedication Message: May all your birthday wishes come true!"